An exasperated nurse's rant about flu season explains to people why they should avoid the emergency room if they are not in a life-threatening situation. If you want blunt and hilarious instructions on how to avoid getting the flu as it sweeps across the nation, let this exasperated nurse explain. Katherine Lockler, 35, had just worked an exhausting, 12-hour shift in the emergency room of a northwest Florida hospital on Jan. 27 when she filmed a six-minute video to vent about people not taking proper precautions against the flu. "Please don't bring your healthy children — especially your newborn babies — into the emergency room," Lockler said. "And if you don't have what I call a true emergency, this would not be a time to come to the emergency room." Lockler also had some practical advice for avoiding the ER altogether. "Here are some ideas of how to treat the flu at home. Wash your stinkin' hands so you don't get all your babies sick,'' she said. The mother of four from Milton works in eight different emergency rooms at different hospitals in northwest Florida. "There's some negative naysayers, but most reaction has been positive,'' Lockler told TODAY about the video. "I think they don't like the way I come across. It might be a southern thing. I just like to be real blunt with a smile on my face." She says this is the worst flu season she has seen in her 10 years as a nurse. All of the hospitals where she works are running low on test kits, flu swabs and available hospital beds. "I'm not angry, but I'm frustrated,'' she said. "We want to help, but you've got to take some preventative measures." One pet peeve has been people who aren't facing life-threatening situations going to the emergency room. Flu epidemic: Could there be a 'double dip'? "They come in for something that's minor, and now they've been exposed to the epidemic,'' she said. "No matter how well we sanitize the ER, people come in with germs." People who feel like they are immune could be instead causing problems for others. She also has had to instruct multiple parents that it's not a good idea to bring infants into the emergency room when there are so many germs that could result in a life-threatening flu. 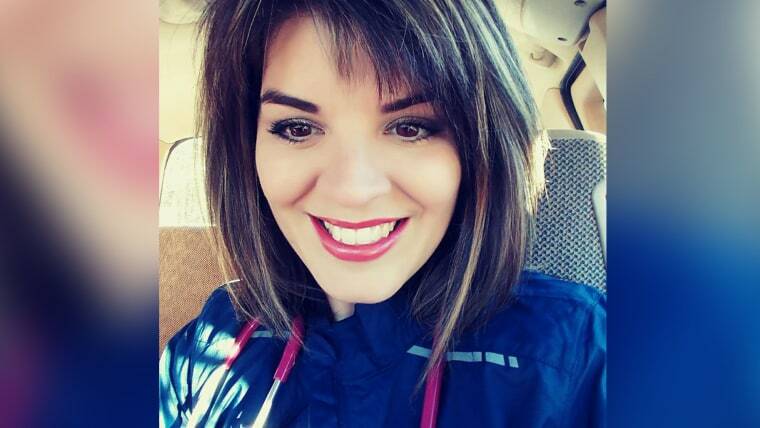 She encountered one child under 2 years old crawling around on an ER floor covered in germs with no shoes on and tried to tell the boy's father that it was dangerous. "Instead of 'thanks for the heads up,' it was, 'It will build his immune system,'' Lockler said. "He intentionally left him on the floor and that makes me upset." Lockler also hilariously demonstrated how to sneeze into your sleeve instead of your hand to avoid spreading germs, which included a slow-motion replay of the technique. She also recommended adults taking 400 to 600 milligrams of Tylenol to ward off the flu and explained the benefits and limitations of taking Tamiflu. She has received hundreds of messages from fellow nurses and doctors across the world applauding her video and all of the staff nurses she works with have been supportive. "I love what I do, and if I can inform a few people and maybe have a few avoid getting sick and not coming in, then the video is so worth it,'' she said.